Research by Dr. Philip James and his team at the Wales Heart Research Institute at Cardiff University School of Medicine focuses on vascular performance and the differences between healthy and diseased blood vessels. Dr. James’ research has been ongoing for several years, but his team has been somewhat limited by the technologies and model systems available. Now, the team has developed a new application, using an Invivo2 physiological workstation from Baker Ruskinn (a division of Baker), which simulates the in-body oxygen environment of blood vessels. Historically, the “gut bath” system is a research tool for measuring the tension (or stretch) of blood vessels in the laboratory setting. The process involves excising a blood vessel and taking cross sectional slices to form rings. 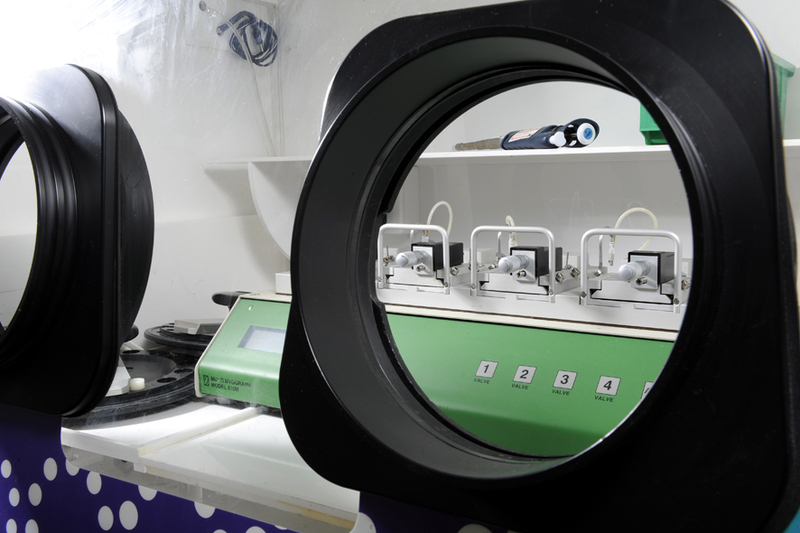 The rings are then hung between hooks linked to a force transducer and a recording device that measures responses to chemicals or pharmaceuticals. The in-body oxygen environment is typically simulated by vigorous bubbling of a gas through a narrow gauge tube into the bottom of a large open chamber. Although different gas mixes can be used, the open system limits the low-oxygen ranges achievable and results in considerable variance depending on the positioning in the tissue holder. To solve this problem, Dr. James’ team adapted Baker Ruskinn’s Invivo2 physiological workstation by introducing a complete myograph system into the oxygen chamber (see Figure 1). The accessory units and recording system remain outside. The advantage of this configuration is that difficult microscopic dissection of tissue can be undertaken outside the chamber, and blood vessel segments, which may be sliced as thin as tenths of 1 mm, can be mounted microscopically on the removable plates. In the system at the Institute, four of these plates are run in parallel. 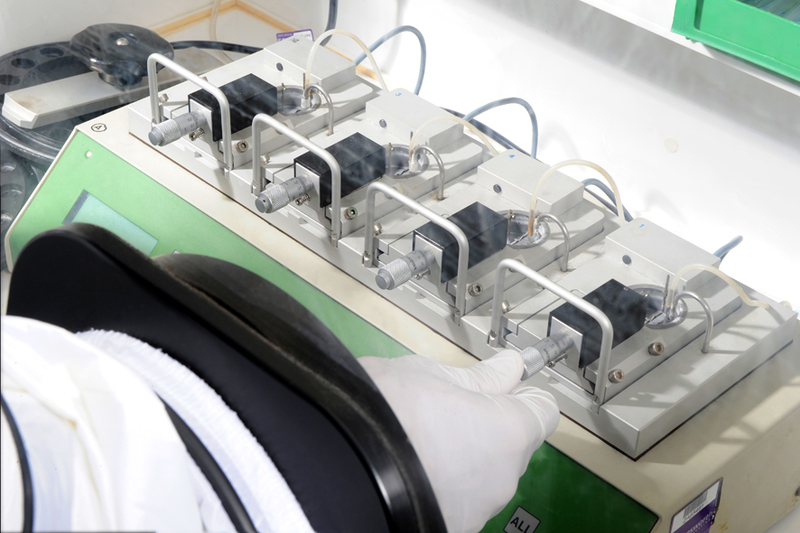 The plates of mounted tissue are introduced to the Invivo2 via the interchange port and the chamber is set to produce the desired oxygen environment. 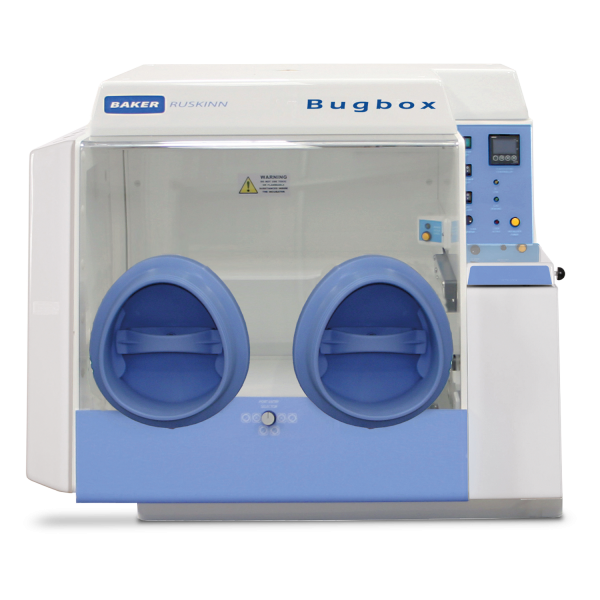 To ensure that rapid changes in O2 can be undertaken, and rapid mixing of the buffer solution surrounding the tissue sample, a micro-tube bubbles the base of the small reservoir, driven by a small pump (such as aquapump). This novel application of Baker Ruskinn physiological workstation technology could be applied across a broad range of cardiovascular systems. The Wales Heart Research Institute at Cardiff University School of Medicine is the first purpose-built, dedicated cardiovascular research institute in the United Kingdom. The Institute involves laboratory-based and clinical research scientists working together as a team to confirm Wales’ ability to play an increasingly important scientific role internationally. The research being carried out by Dr. James’ team, funded by the British Heart Foundation, focuses on finding the mechanisms by which red blood cells can relax blood vessels. This is extremely important to maintain healthy blood vessels and an adequate supply of oxygen and other nutrients to all tissues. These mechanisms are thought to accrue even greater importance in small vessels and in disease states where normal processes are out of balance.